Golden Hat #8 - Winners Announced! 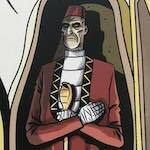 CDO Forums / Chaos Dwarfs Online / Website News / Golden Hat #8 - Winners Announced! Author MessageGolden Hat #8 - Winners Announced! 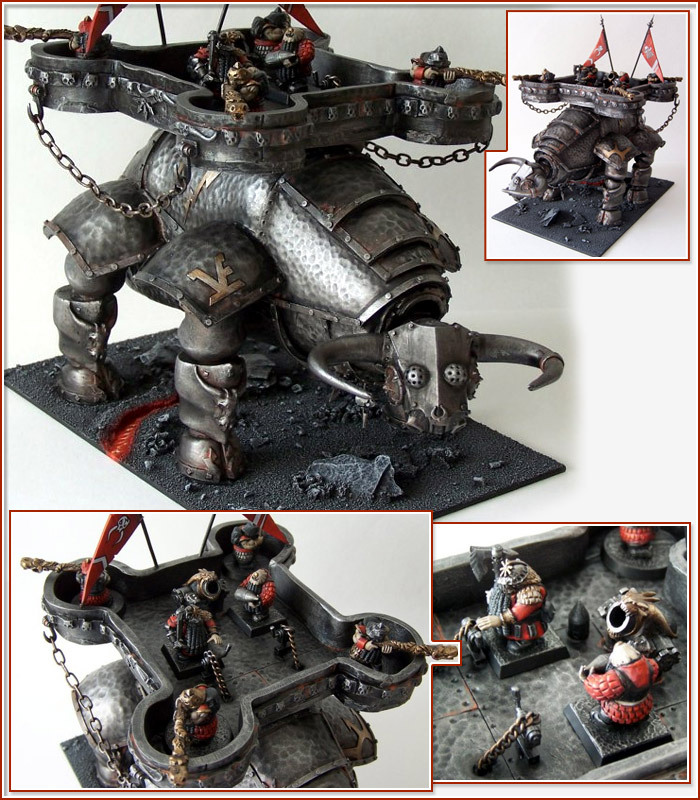 For those living miles away from the nearest phone point the last couple of months we had a competition to create a warmachine. This was Golden Hat 8, the regular competitions that our members have to test their skills against each other. 2nd Place and Silver Hat Winner: Xander with his warmachine based on the one from Warhammer Online. 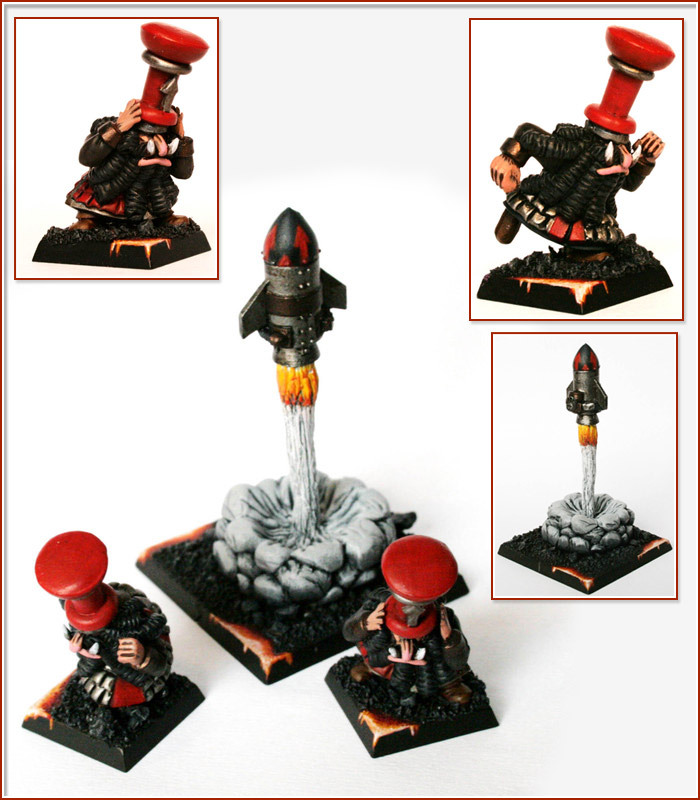 3rd Place and Bronze Hat Winner: tjub with his hilarious death rocket team. Congratulations to all the entrants, but especially to the top 3. Ishkur has proven he’s up there at the pinnacle of competition by being the only person to hold two Golden Hat medals. I’ll catch you up just you wait… I assume Xander will get in touch with details of your AoW mini soon. Xander I know is really pleased to have won a medal for his painting, I know you put in a lot of time and effort with this. Tjub It’s been a great few months for you, no doubt this will mean a lot to you. I presume Xander will send you the Canadian WD supplement. For those curious we had 168 votes in the final round, Ishkur secured 18%, Xander 15% and tjub 14%. This has been the most successful Golden Hat by far, more entries than any other competition and certainly more voting (in both rounds). A round of applause for everyone. May the drinking and feasting last for a whole week! This post was last modified: 09-16-2010 04:20 PM by Xander. yea !!!!!! !great job ish now where are you going to put that new first prize ! !your avatar is full!! Unseen Lerker magazine - more awesome than a hedgehog in a sock. This post was last modified: 03-16-2009 06:21 PM by clam. I think all my final three got it... nice. Xander, I really like how you brought a concept out of WAR into the game! tjub This warmachine always puts a smile on my face. A wicked evil, but delighted, smile! Congrats to all three! I love the work of all three of you. This post was last modified: 03-16-2009 06:26 PM by Swissdictator. Well done all, especially to Ishkur - that bull is awesome! And to tjub - A wonderfully humerous look at rocket launching. Whoa, I'll have to add a few centimeters to my hat to celebrate this occasion! Man, building the Shatterer Beast was one of the most rewarding things I did during the past months. I really enjoyed working on it for those weeks in January and February (or rather every now and then and on the weekends, mostly), so.. thanks CDO for this!! Congrats Xander, that's an impressive amount of firepower. 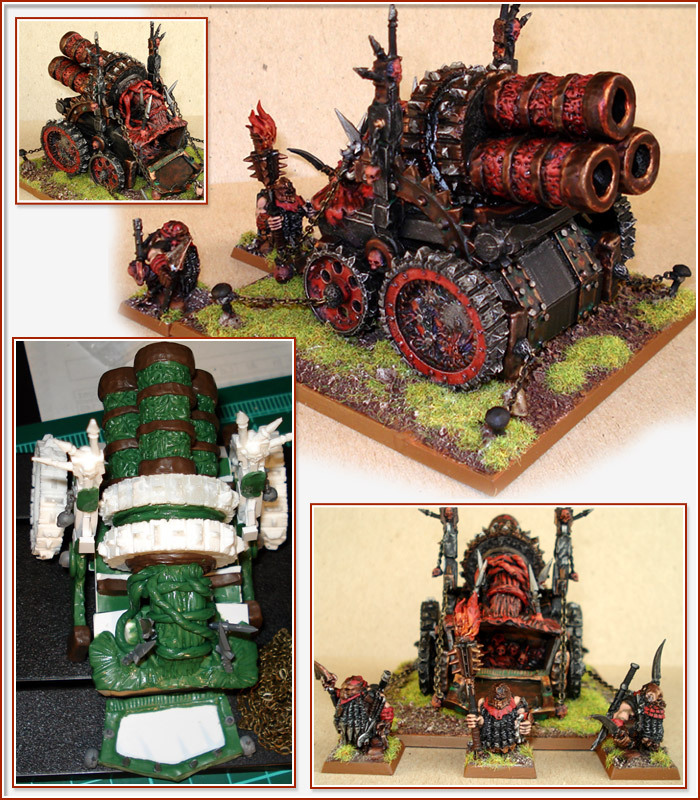 ^^ And tjub hope you'll make many opponents laugh with this great model! Now I am looking forward to seeing all those awesome entries in the individual blogs. With big pictures! This post was last modified: 03-16-2009 08:05 PM by GRNDL. Damn impressive an awesome job all round! Xander better get busy doling out the prizes, there is a veritable dwarf hoard there. An amazingly high calibre of entries in the comp this year. Congrats to all who placed. I am in awe of your talent. The winner, Ishkur, gets to choose which of the 3 prizes he wants. The remaining two are raffled off. 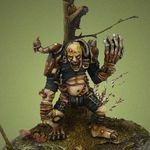 Another person volunteered an AoW model. So we might be able to get one for Tjub too. I will contact the donor. The raffles will be random, and I will determine the winners in a couple days! Thanks for all your votes! You can expect a LOT of WIP pics. I took MANY of them. This post was last modified: 03-17-2009 12:02 AM by Xander. SWEET! It looks like it took a lot of work Xander, so I'm looking forward to seeing them and perhaps sneaking off with a few ideas of how to make conversions easier! congrats to the winners! it was a pleasure to compete with such entries! Compliments to everybody. Just one of my favourites managed to get to the top three..... but all of the entries are so cool I'm not disappointed with the result. Hahut will be pleased by this gargantuan bull! An amazing competition, the standards for Golden Hat have been set and this one will be very hard to beat indeed!! I will contact the donor. @Ubertechie - aye, I put them online in my army blog here. Hope to see many more people's entries in larger scale soon!